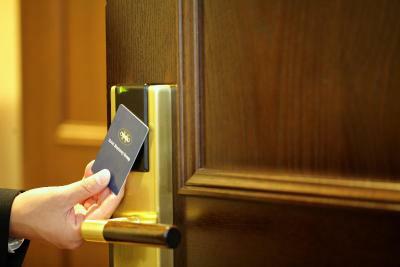 Lock in a great price for Hotel Monterey Osaka – rated 8 by recent guests! 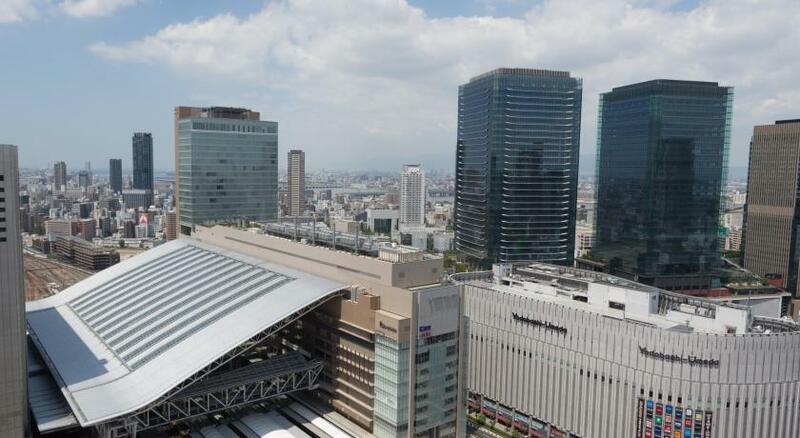 The proximity of the hotel to Osaka Railway Station is a big plus. The room for 3 adults was roomy and well equipped. Facilities were good and we would stay there again. Awesome place! We opted to pay a little extra to upgrade for a large bed which was well worth it and the most comfortable bed during our 2 weeks trip. 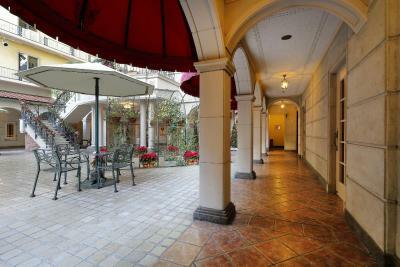 Location couldn’t be any better- Less than minute walk from Osaka station and all the major shopping and restaurants. The location is very central with great shopping. The decor is tasteful and the courtyard is quite beautiful. Great California the money! Location close to airport bus stop. European atmosphere was charming. Location. Check out the courtyard. There’s a cute little chapel there and there were staircases that take you to the upper area. Unusual design but very nice and unique. Will recommend. The hotel is a bit different from the hotels we've stayed at in Osaka, as it has a European vibe, with a chapel in the middle of its courtyard at the 8th floor of the hotel. The location is okay, as it is near the JR Osaka City Station. The hotel was VERY charming... Rooms were good size for Japan standards and very stylishly decorated. Loved it! Location could not have been better... an easy 5 min walk to Osaka train station. Bigger room compared to other hotels, I was able to lay out one 26-inch suitcase and one 21-inch suitcase. Two bottles of water were provided everyday as long as you take both out of your room by the time they come to clean. Hotel Monterey Osaka This rating is a reflection of how the property compares to the industry standard when it comes to price, facilities and services available. It's based on a self-evaluation by the property. Use this rating to help choose your stay! One of our top picks in Osaka.A 5-minute walk from JR Osaka Train Station (Sakura-bashi Exit), Hotel Monterey Osaka offers European-style rooms with free Wi-Fi. It features French and Japanese cuisine, and a 24-hour front desk. 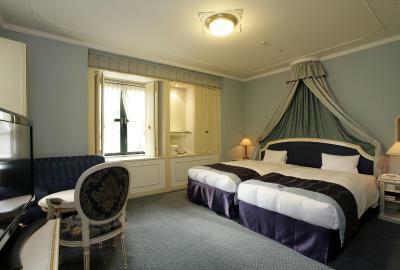 With soft pastel walls, the air-conditioned rooms are designed to look like rooms in Vienna's Schönbrunn Palace. All come with a flat-screen TV and a mini-bar. Bathrooms have a bathtub. Smartphones in the room may be used inside and outside of the property free of charge. Hotel Monterey Osaka is a 15-minute walk from the floating garden at Umeda Sky Building and a 10-minute walk from Grand Front Osaka. Via train, it is a 15-minute ride from the iconic Osaka Castle, while Universal Studios Japan is a 20-minute train ride away. Namba and Shinsaibashi area are within a 15-minute subway ride away. Guests can take the limousine bus from Herbis Osaka to Kansai International Airport and Itami Airport. From Tuesdays to Sundays, Escale restaurant serves French cuisine for lunch, tea and dinner. Zuientei restaurant offers fine Japanese dishes in a traditional setting. A daily buffet breakfast and drink vending machines are also available. Guests can relax and unwind with a massage. The hotel also provides laundry services and meeting rooms. When would you like to stay at Hotel Monterey Osaka? 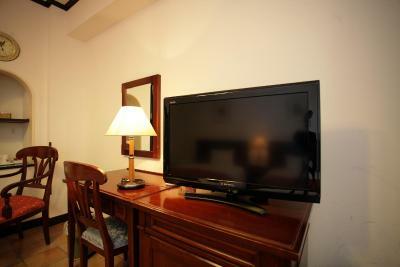 Featuring European decor, air-conditioned room can accommodate 1 guest. It has a private bathroom and free Wi-Fi. 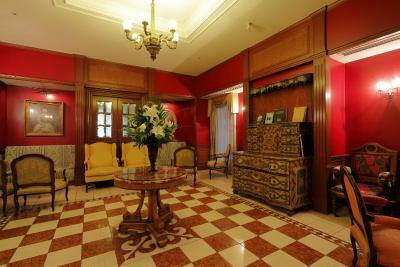 Featuring European decor, air-conditioned room can accommodate 3 guests. It has a private bathroom and free Wi-Fi. 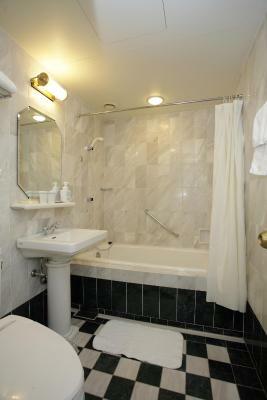 Featuring European decor, air-conditioned room can accommodate 2 guests. It has a private bathroom and free Wi-Fi. 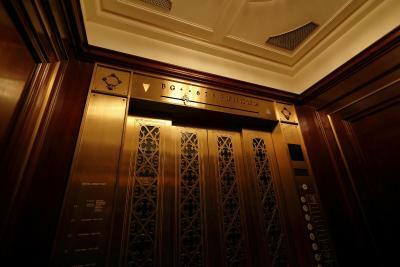 House Rules Hotel Monterey Osaka takes special requests – add in the next step! 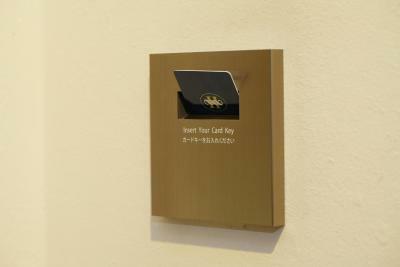 Hotel Monterey Osaka accepts these cards and reserves the right to temporarily hold an amount prior to arrival. Interesting and quirky design. Comfortable rooms and very nice food. The provision of a safe is desirable. The only hotel in Japan in two weeks of travel not to have one. Very good location, close to Umeda train station and many food stores. The faux Viennese design and decor should not put anyone off staying here. Its a very well located modern hotel with spacious spotlessly clean rooms and represents excellent value for money. 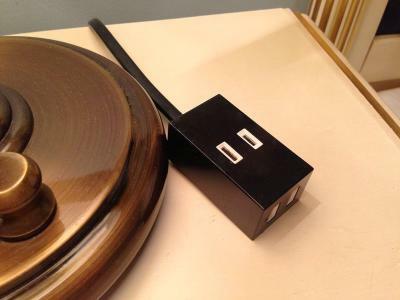 Hotel was beautiful, service was great, even offer a mobile phone in the room for guests. Good location in Osaka, good breakfast, great restaurant. Nice, classic building. Very convenient location, next to main station. Close to Ōsaka Station, which was very handy, great hotel, fantastic breakfast and ambience. Difficult to find the light switch. Hard pillows. Location, courtyard where we could have a quiet drink. Pyjamas.